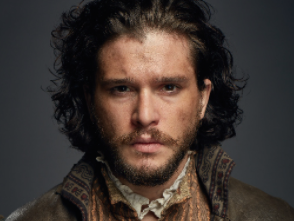 US premium cabler HBO has acquired exclusive US rights to Gunpowder, the BBC’s three-part Kit Harrington thriller drama. The show, based on 17th century events that saw Guy Fawkes attempt to blow up the British parliament, will debut on HBO in December. Gunpowder, from Thriker Films and Endemol Shine UK’s Kudos, launched in the UK on Sunday starring Game of Thrones lead Harrington, who is a descendant of the character he plays, Robert Catesby who was a key player in the 1605 Gunpowder Plot. “Kit’s passion for and belief in Gunpowder are evident in every frame of the miniseries,” said HBO Miniseries and Cinemax programming president Kary Antholis. HBO acquired the show from Endemol Shine International, whose CEO, Cathy Payne, was recently named International Content Leader of the Year at TBI’s Content Innovation Awards. The BBC and HBO are already working together on an upcoming eight-part drama from scribe Sally Wainwright, Shibden Hall. Other recent collaborations include Parade’s End, Rome and The Cormoran Strike Mysteries.